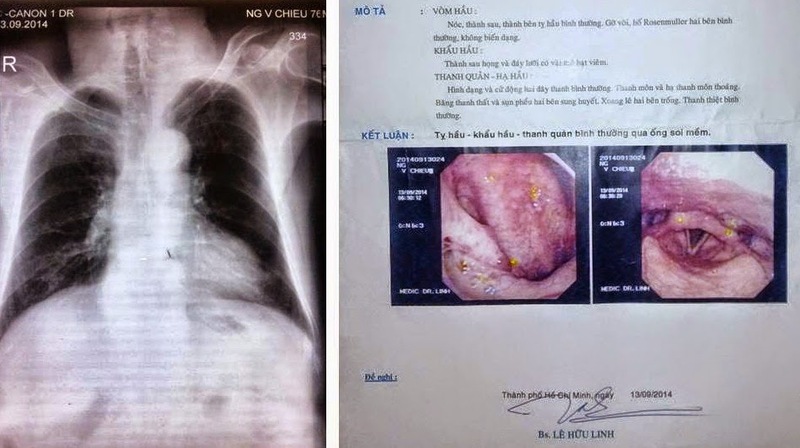 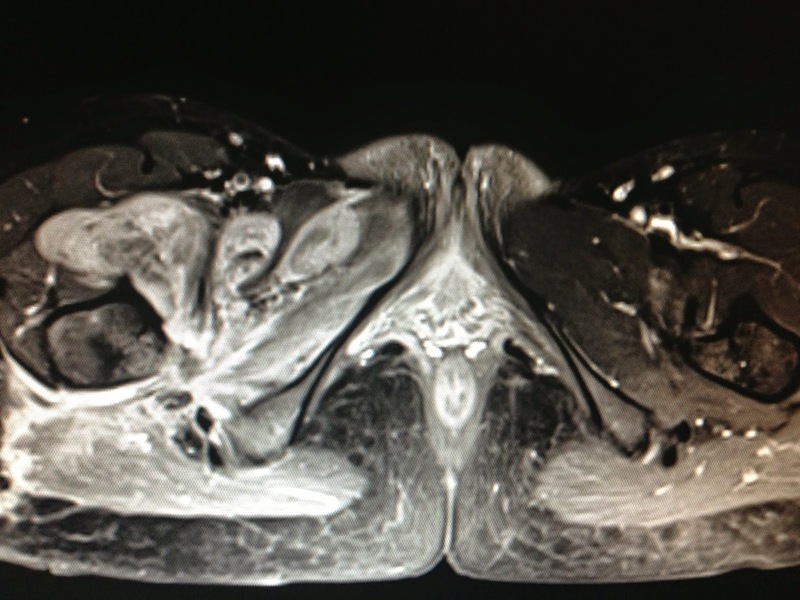 Man 45 yo, 3 months after operation for repairing left inguinal hernia, pain in micturition and polykiuria; clinical palpation detected one mass at suprapubic area. 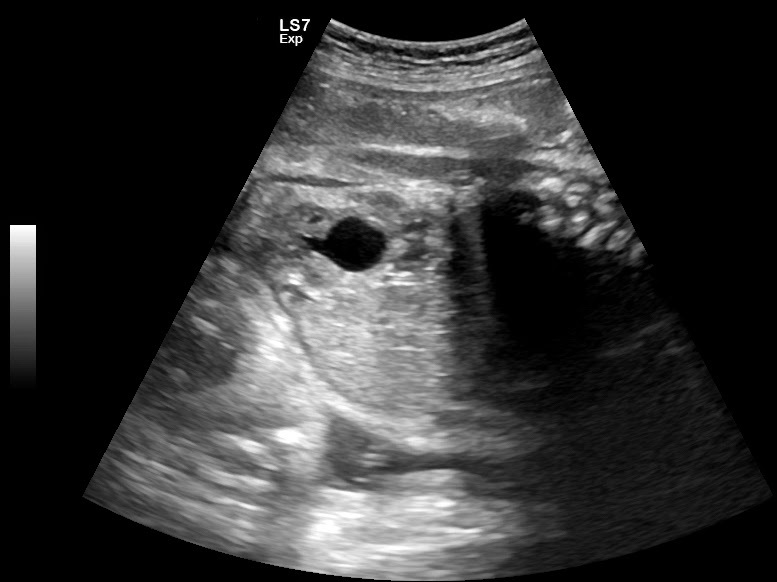 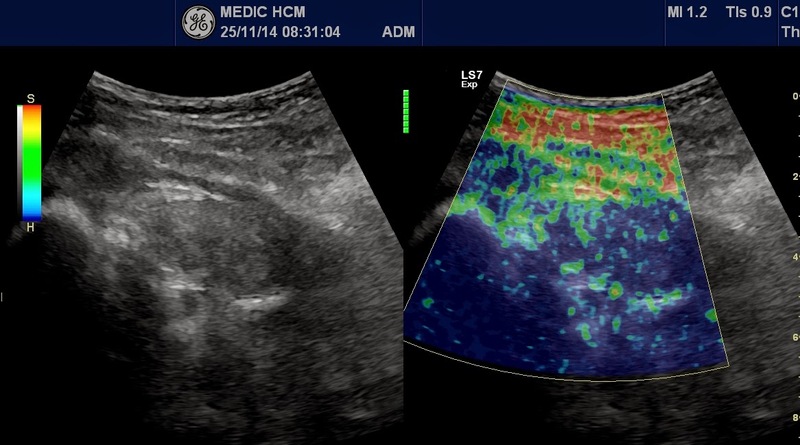 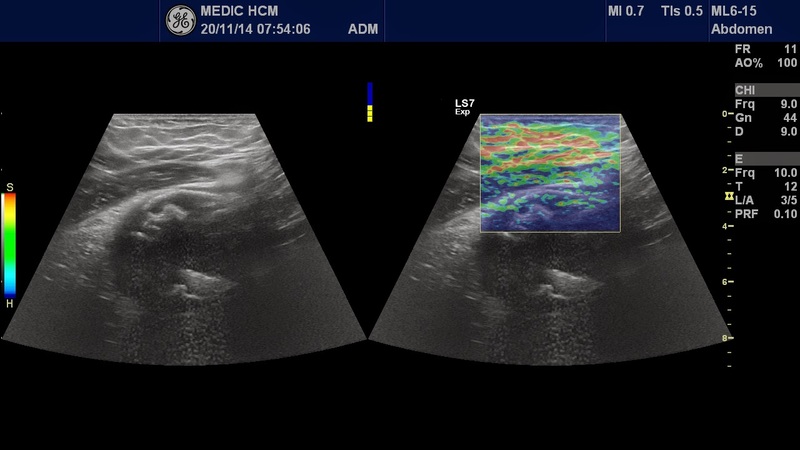 Ultrasound detected this mass being a cyst, size of 10cm with many bodies hyperechoic intra cystic, which were looked like foreign bodies ( see 4 US pictures). 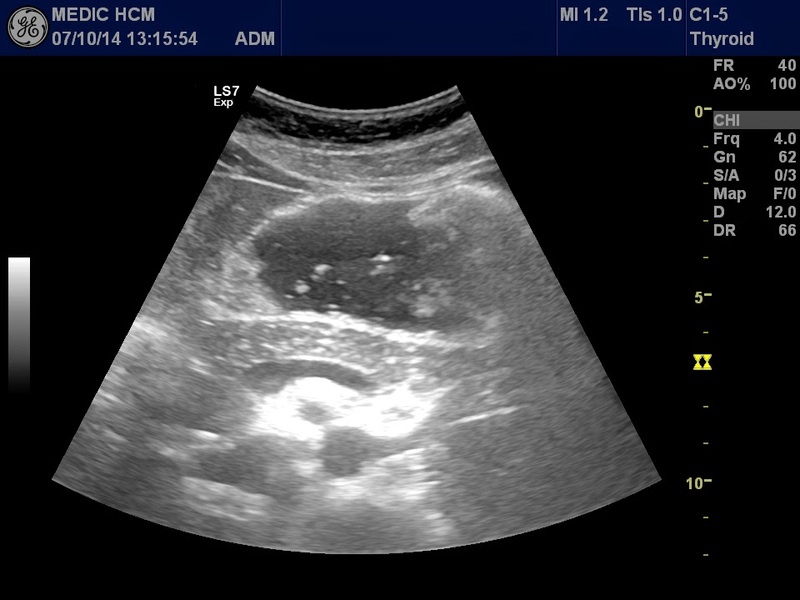 This mass was intra abdominal wall in compression to urinary bladder. 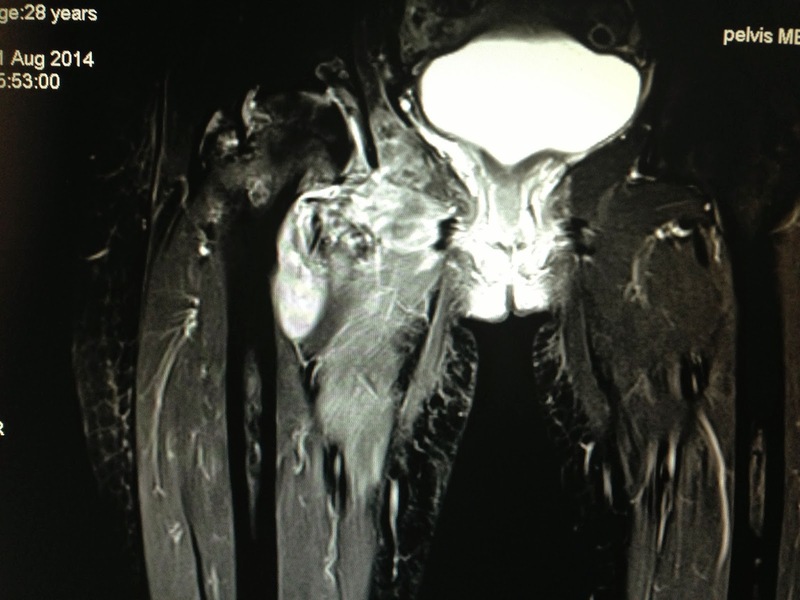 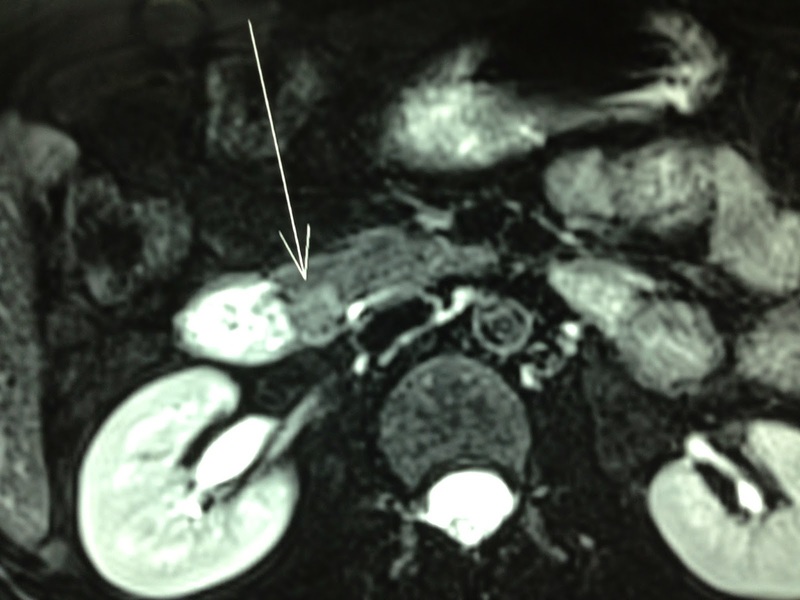 MRI of pelvis with gado reported a mass which was liked an abscess with viscous fluid content and cannot see intracystic structure. 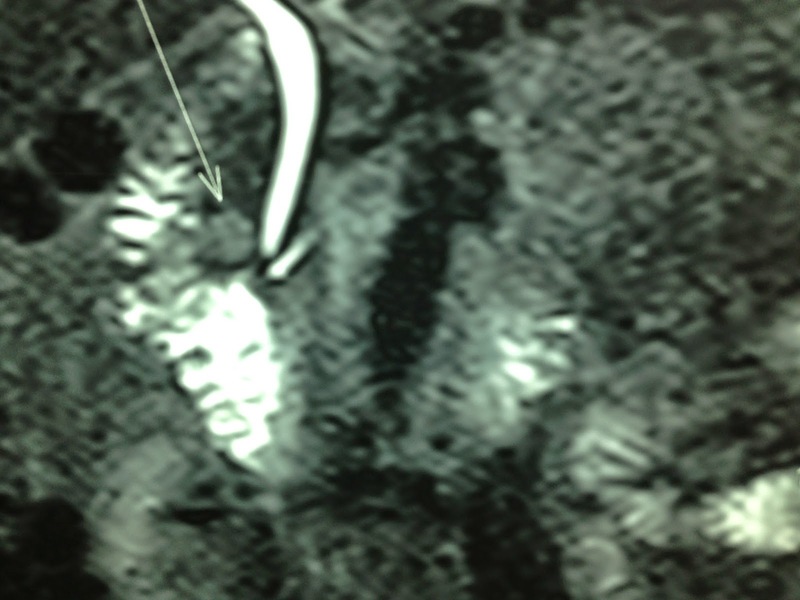 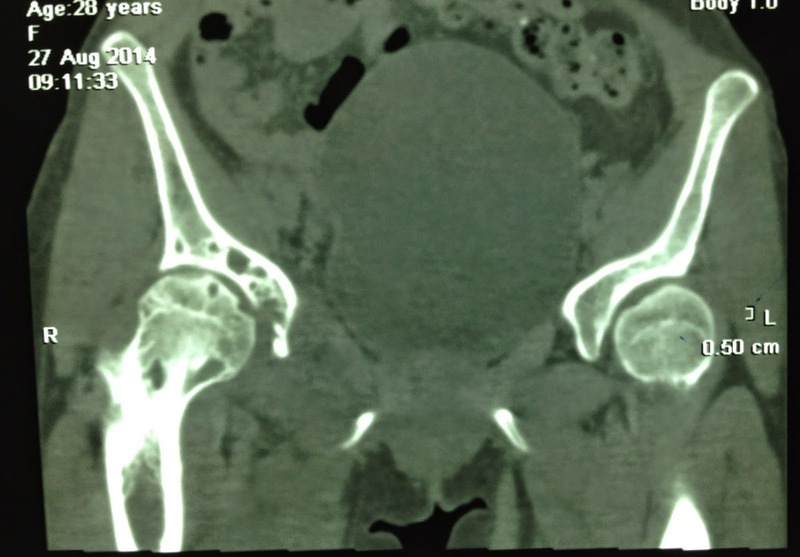 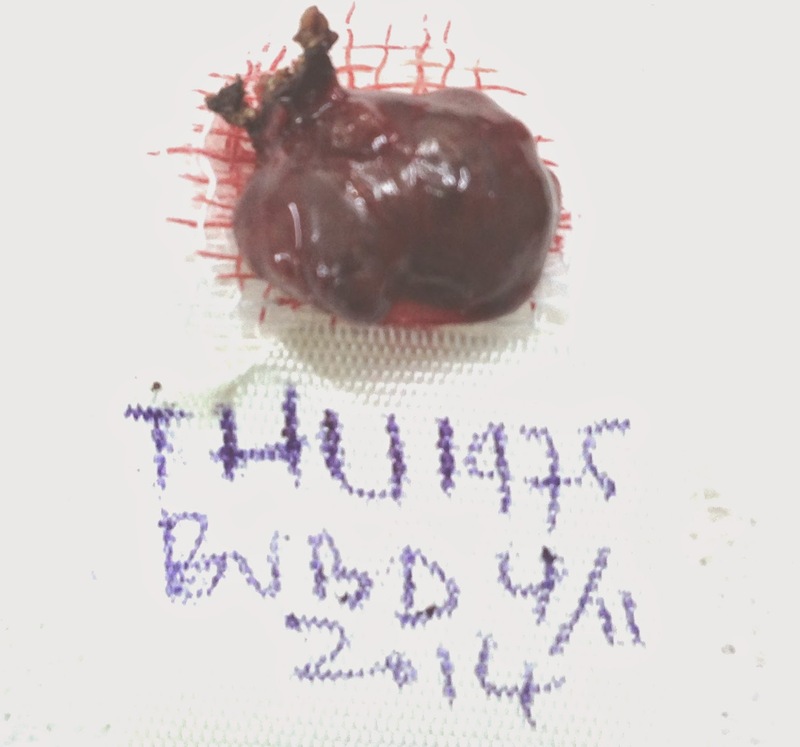 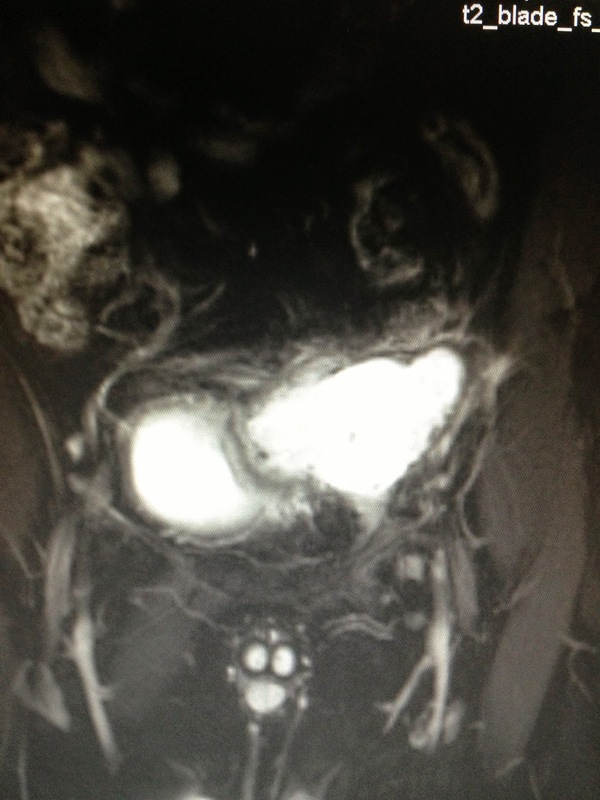 What is your suggestion for diagnosis of the suprapubic mass? 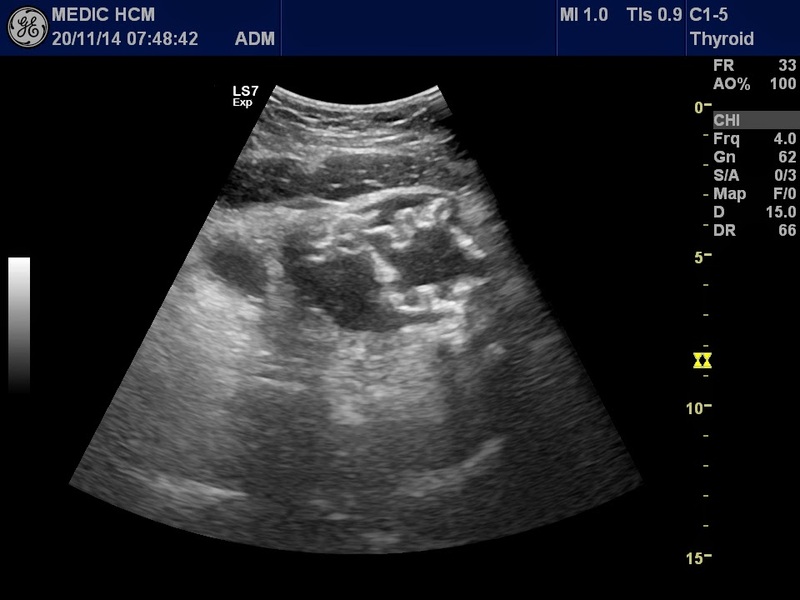 Woman 39yo after delivering her second baby, she had hypoglycemia repeatedly and more frequently. 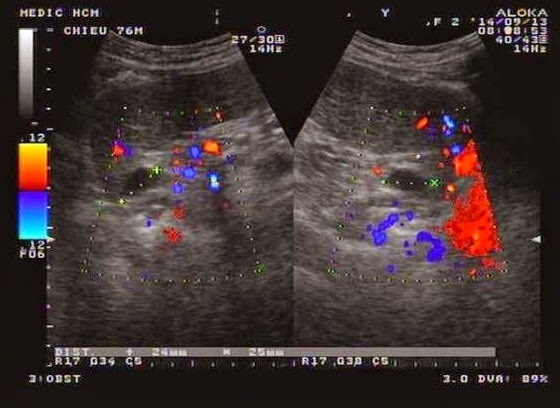 But ultrasound of pancreas many time with many sonologists cannot detect abnormal in pancreas (see 3 ultrasound pictures at Medic). 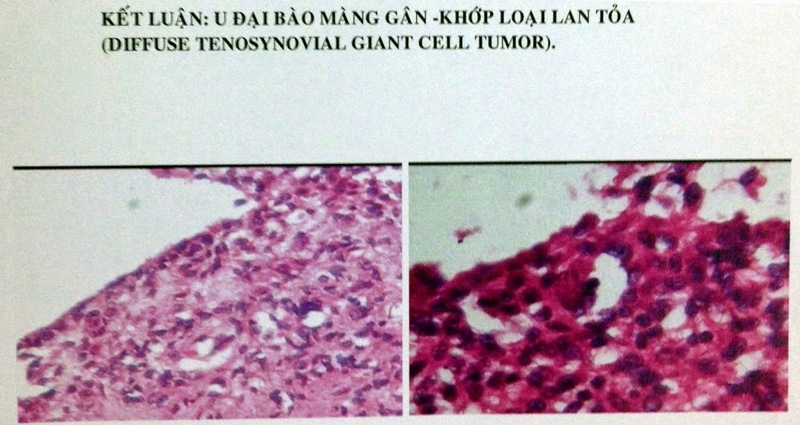 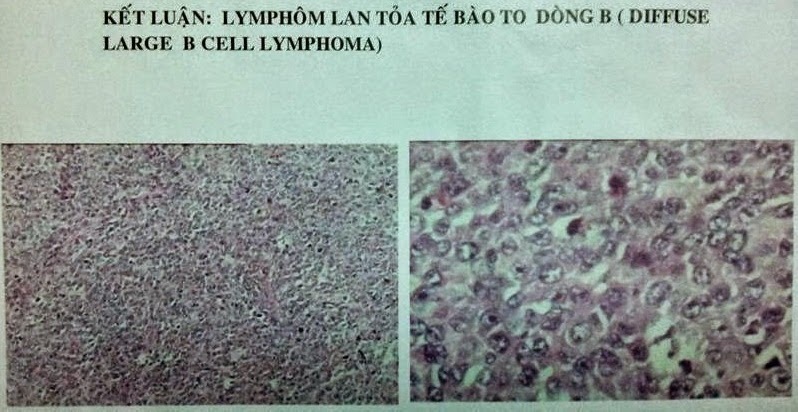 Operation was done for removing this mass and for microscopic report. 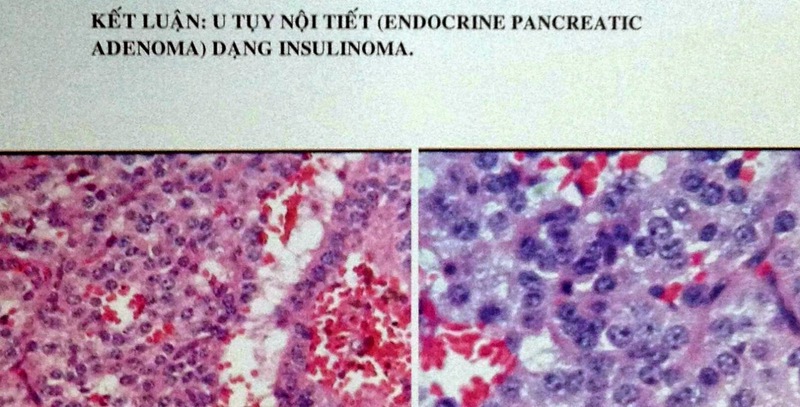 After removing the mass of pancreas, the sugar blood was getting stable and returning to norma value. 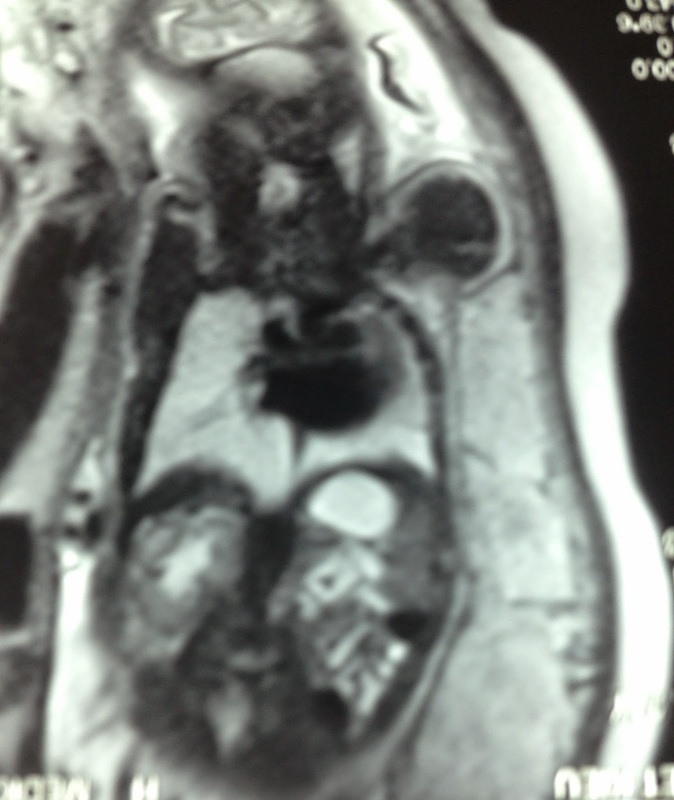 Microscopic report was an insulinoma. 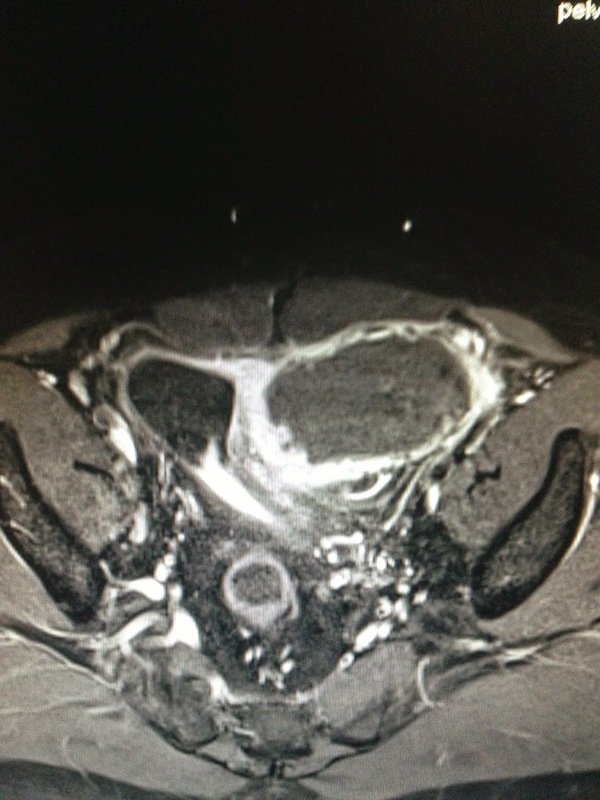 TODAY PATIENT DISCHARGED FROM HOSPITAL. 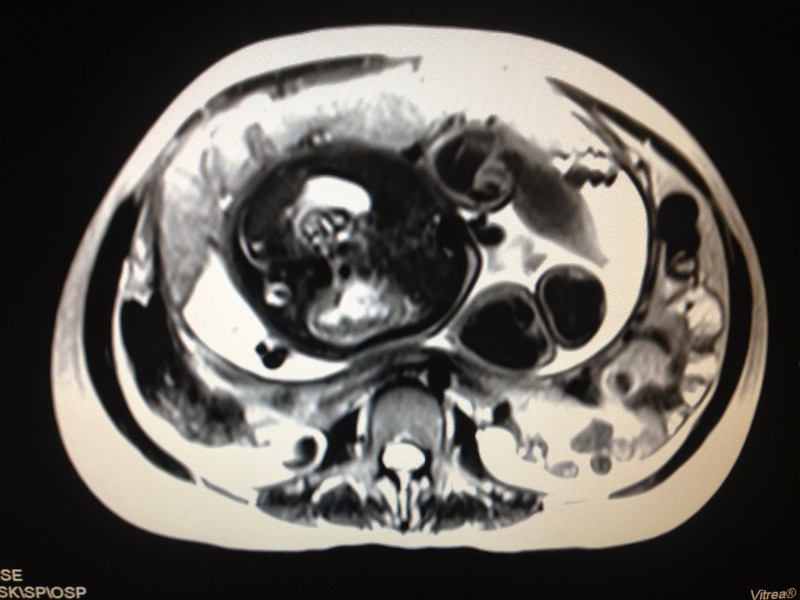 IN FASTING INSULIN WAS 8.1 UI/ML IN COMPARISON TO PRE-OP VALUE OF 50.9UI/ML. 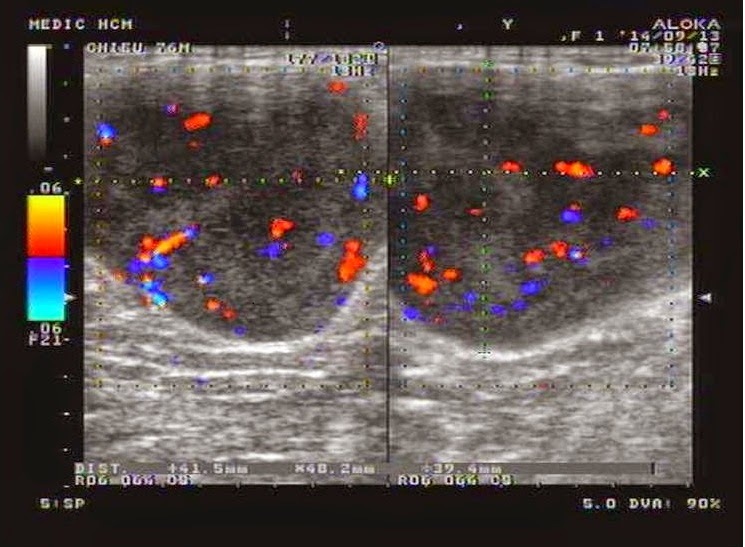 Woman in pregnancy 31 yo PARA 2002. 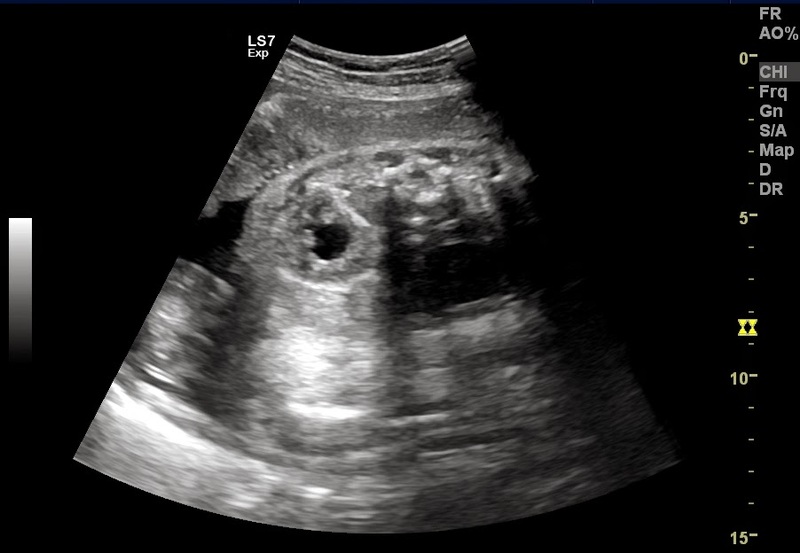 First time cesarian delivery, but now check for the second delivery. 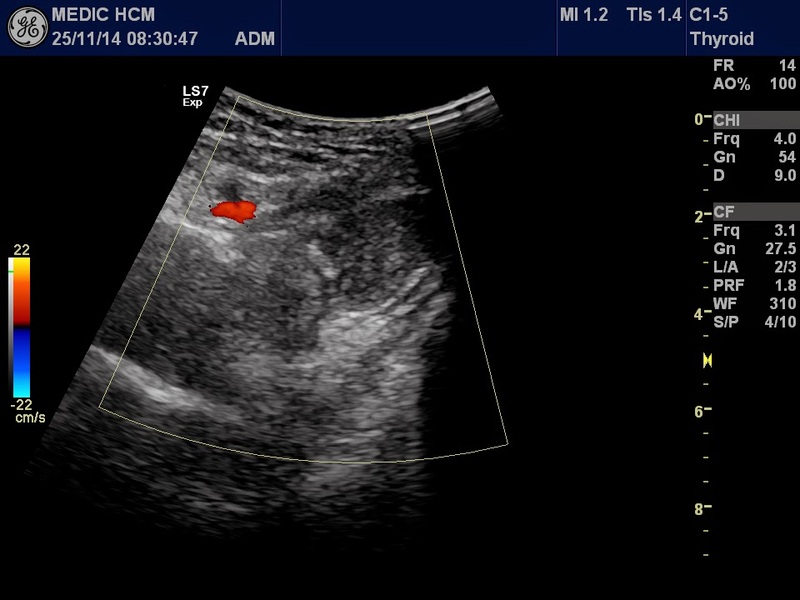 Prenatal ultrasound that detected oligoamniotic and but fetus having only one right hydronephrosis [see image US 1, US 2 ]. 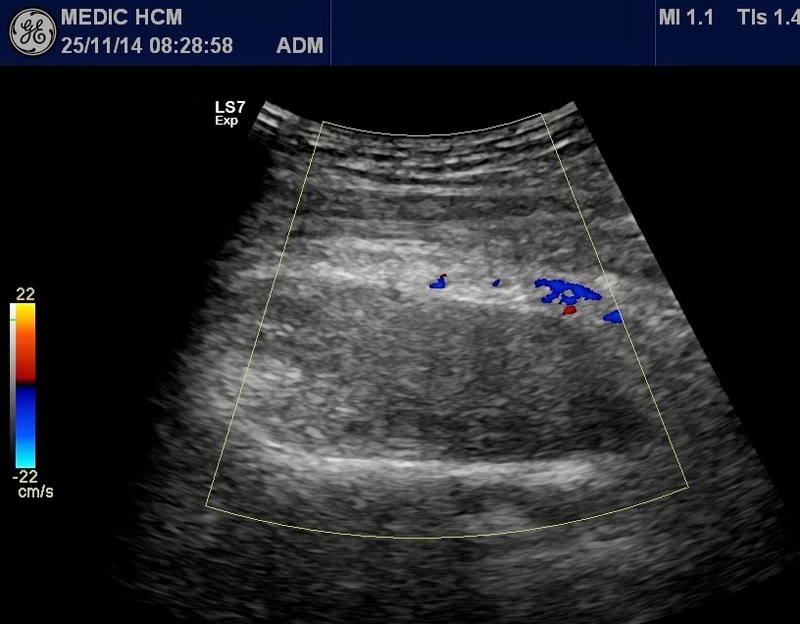 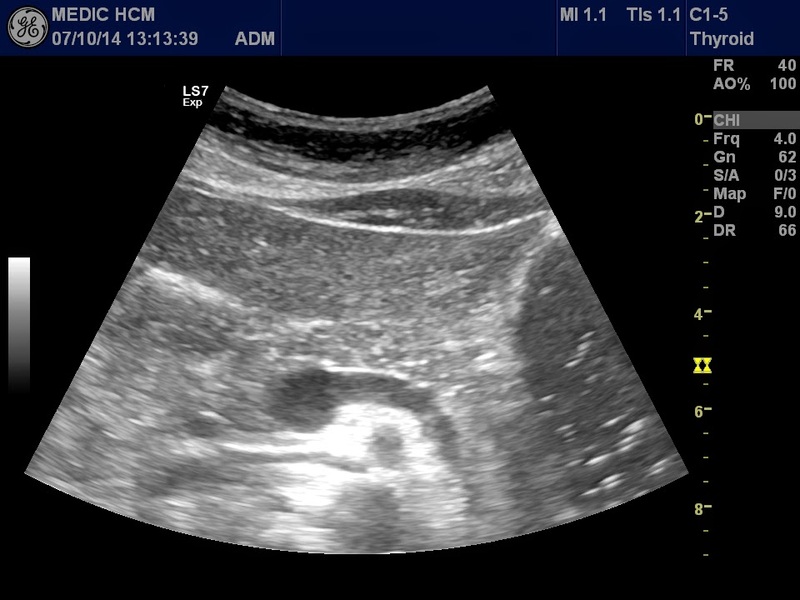 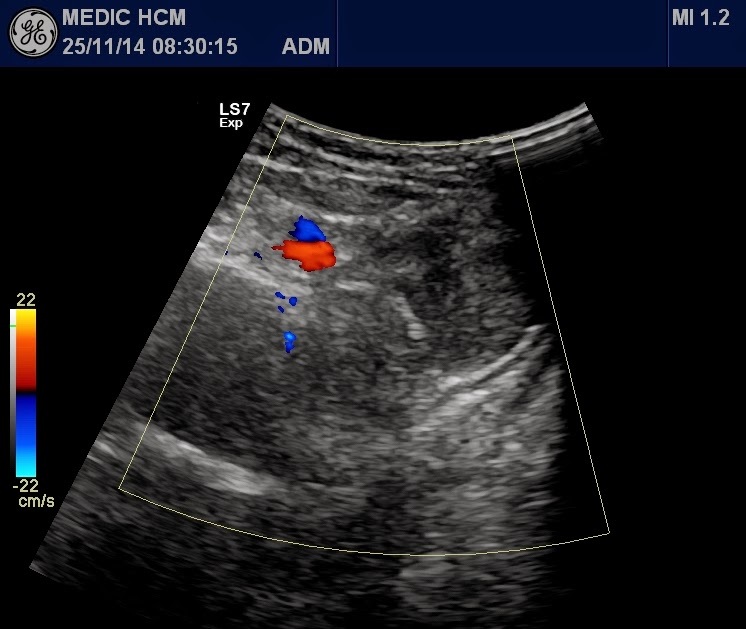 Urinary bladder was normal and cannot find out the left fetal kidney (US 3 video showed the facial fetus and his nose and mouth in normal respiration). 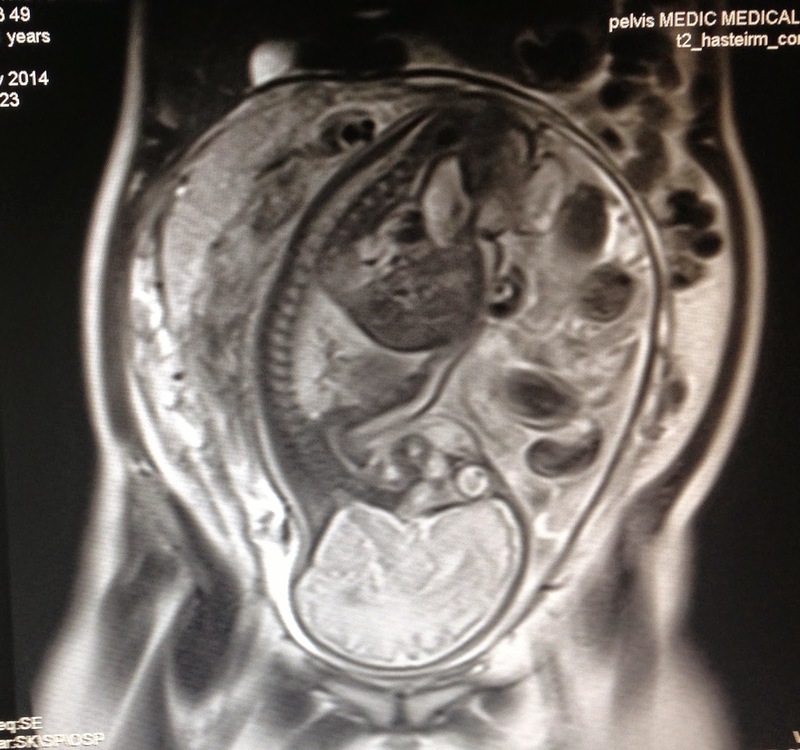 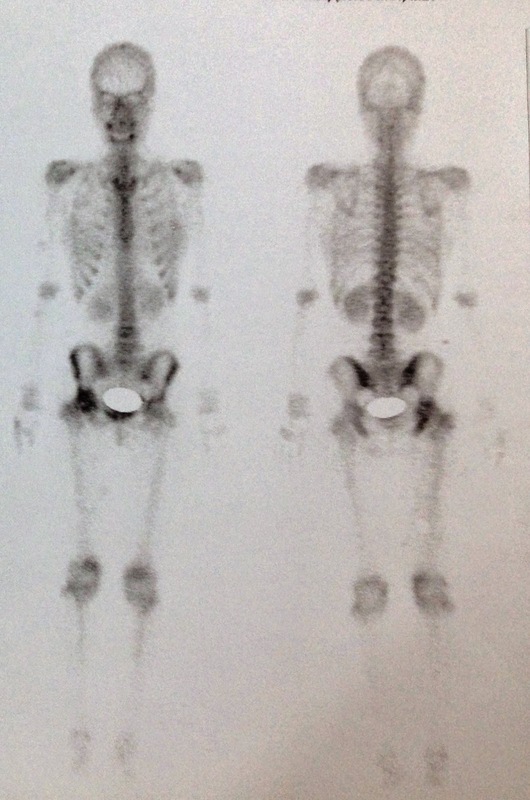 Prenatal 36 weeks detected renal malformation with agenesis of kidney. 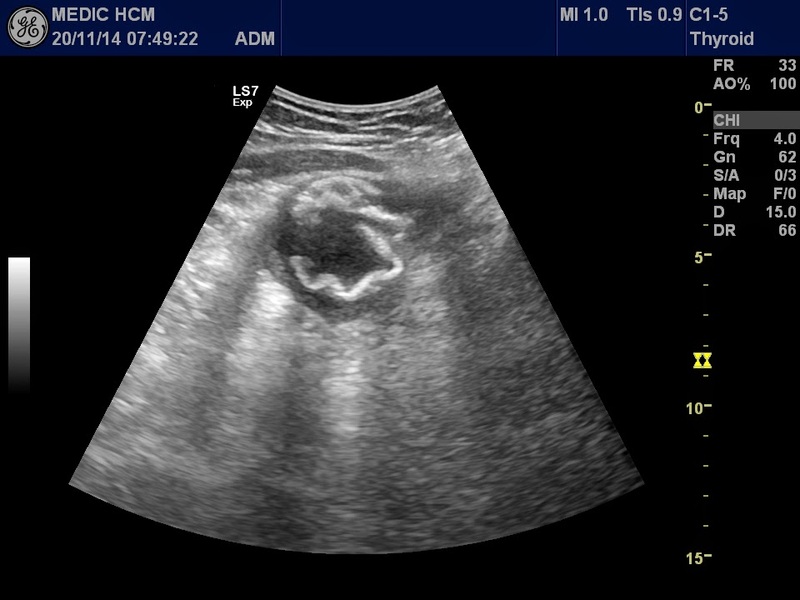 In this case, fetus has only one kidney in hydronephrosis. 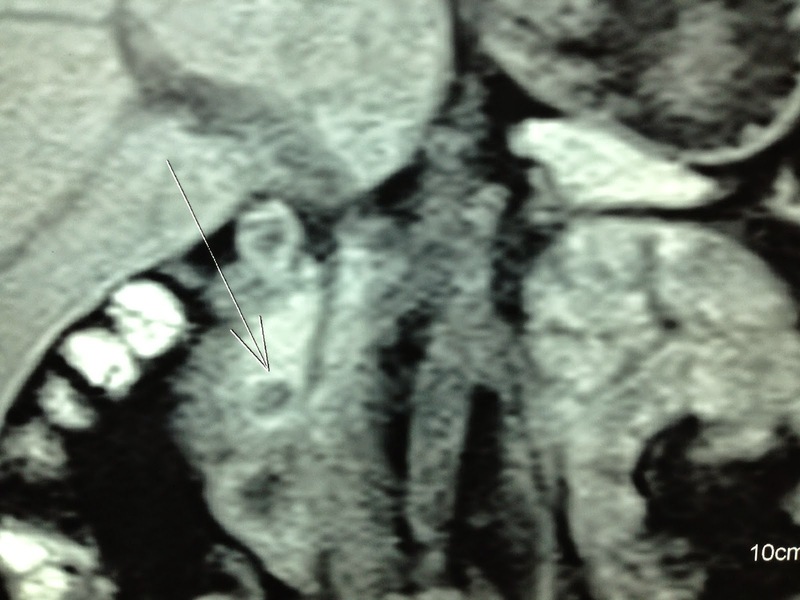 The mother has to undergo a cesarian deliverying and strict survey the neonate, and if the hydronephrosis is still progressing, an emergency endostent by JJ is method for reduction of intrarenal pressure. 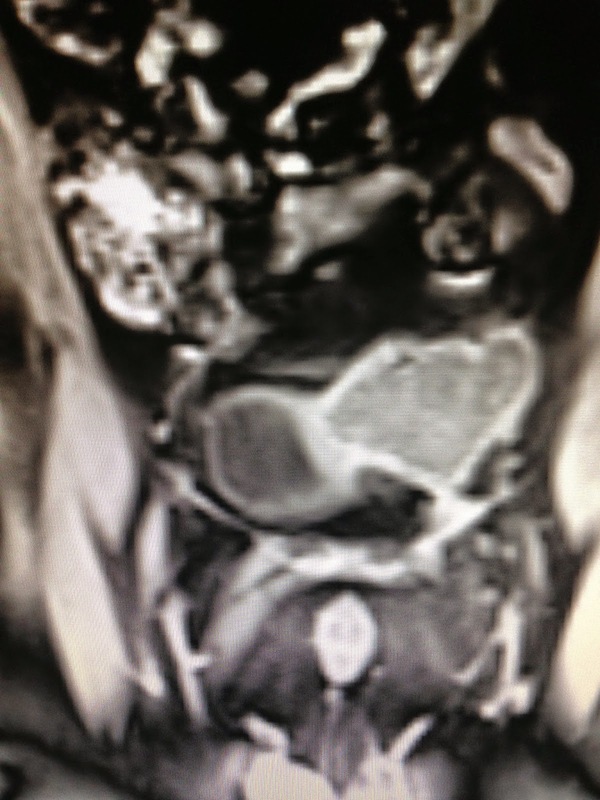 It is look like POTT SYNDROME, this baby needs DNA gene examination.